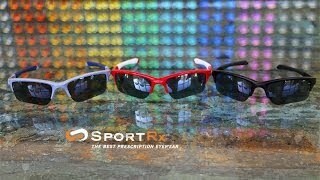 Oakley Quarter Jacket sunglasses enable athletes to experience Oakley innovation at a youthful age. Young athletes make a name for themselves in more sports than one, and these youth sport sunglasses are easily adaptable to their many active environments. 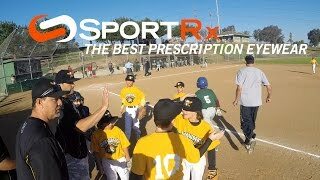 SportRx integrates prescription expertise with Oakley’s technologies for the most enhanced optical clarity in the world of sports. Experience the benefits of technologically advanced youth sport sunglasses when you order your Oakley Quarter Jacket prescription or nonprescription sunglasses from a friendly optician at SportRx. The Oakley Quarter Jacket is part of the Oakley Flak Jacket Collection.